In addition to the Solo game play mode (which pits each gamer up against up to 99 others in a real-time battle), the Duos mode allows gamers to team up with one friend in a quest to defeat all other gamers during a match. Meanwhile, the Squads mode allows teams of four players to enter into a match and work together as they battle against up to 96 other gamers. The Duos and Squads game play modes are permanent features built into the game, and they’ve proven to be extremely popular, since Fortnite: Battle Royale is, for the most part, cross-platform compatible. Thus, someone experiencing the game on a PS4 can team up with a PC user, for example, to play against a random section of other gamers, in real-time. 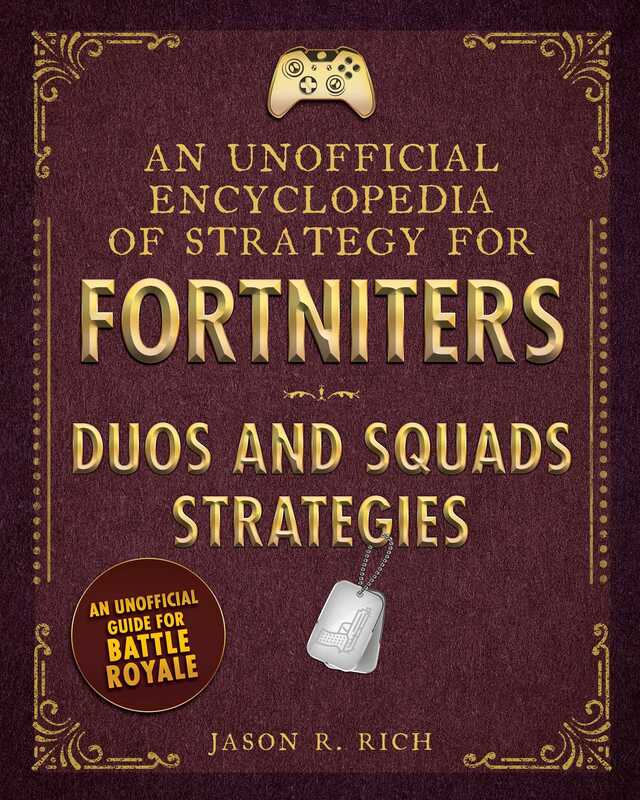 An Encyclopedia of Strategies for Fortniters: Duos and Squads Strategies will be the first book in this unofficial strategy guide series to offer in-depth coverage of Fortnite: Battle Royale’s team-oriented game play modes. Thus, this unofficial strategy guide will be chock full of proven strategies and game play tips designed to help teams achieve victory in the Fortnite: Battle Royale matches they participate in. This expanded (approximately 176-page) guide will include a comprehensive overview of the Fortnite: Battle Royale game, with a special focus on the game’s team-oriented game play modes. The full-color book will appeal to readers age 8 and up, regardless of which gaming platform they’re using. When experiencing any of the team-oriented game play modes, cooperative gameplay (teamwork) and communication with team members become vital. An Encyclopedia of Duos and Squads Strategies will soon be an indispensable resource for gamers experiencing the Duos or Squads game play modes (or any of the other team-oriented game play modes added to Fortnite: Battle Royale on a temporary basis).